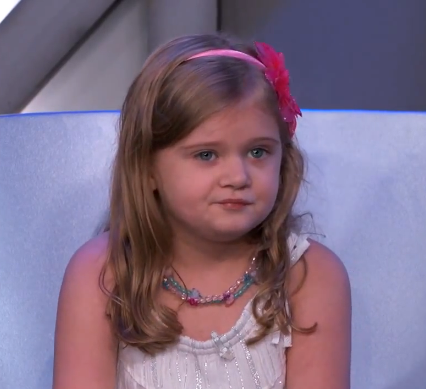 5 year old Mia Grace handed the Guardians of the Galaxy their own asses last night on Jimmy Kimmel Live. The comic savant has proved herself before, but this time she goes up against the cast of the upcoming Marvel blockbuster and firmly thrashes them. You can check out the video below, but first, just take a moment to appreciate the best case of JBRF (juvenile bitchy resting face) ever observed.